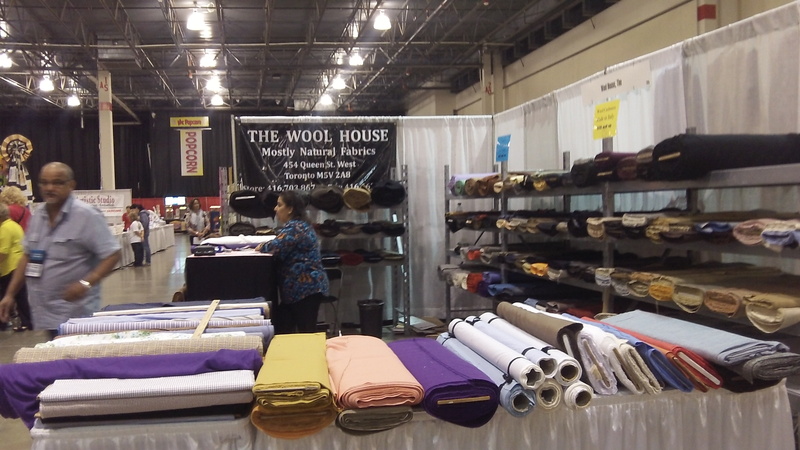 There’s so much to see and do at the American Sewing Expo I can’t begin to cover it all. I met so many sewers from small towns in Michigan, Ohio, Indiana and Canada, who make this a vacation destination. I registered for 4 classes on Saturday, then volunteered in a classroom on Sunday, which allowed me to sit in on 5 more classes. 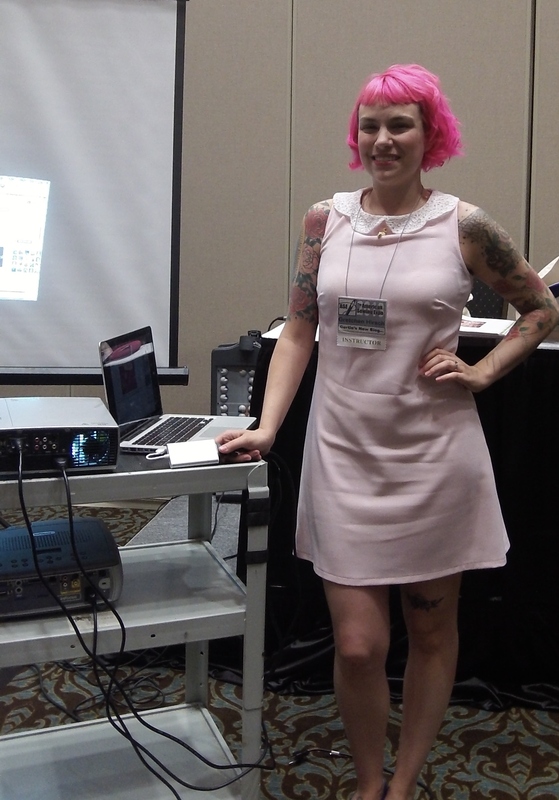 Here’s my best of the bunch, starting with Blogging for Beginners with Gretchen Hirsh of Gertie’s New Blog for Better Sewing. 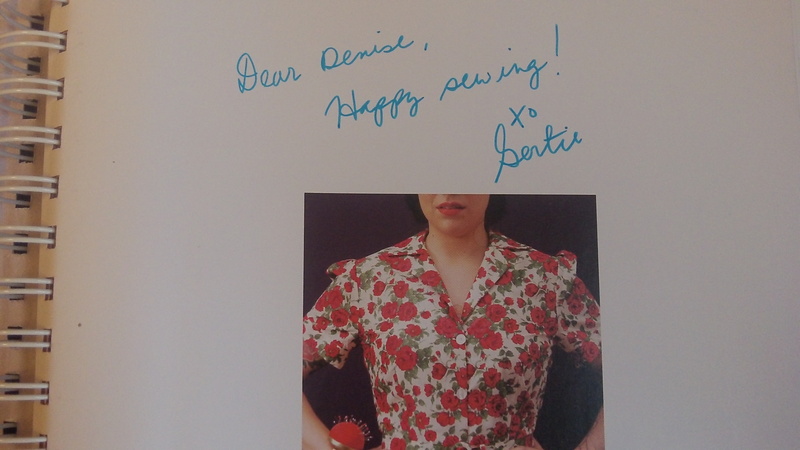 I think I crossed over into sewing geekdom, I wore my magical-waist-whittling-gertie-dress (she took a photo) and had her sign my book. Some highlights from her class: use drafts to start ideas, share information generously, have a point of view, share what you are working on as well as what you finish and learn how to improve your photos (gotta work on that one). She also told us she was self-conscious at first when modeling her work, but decided to get over it and have fun. Can’t wait to reach that point. 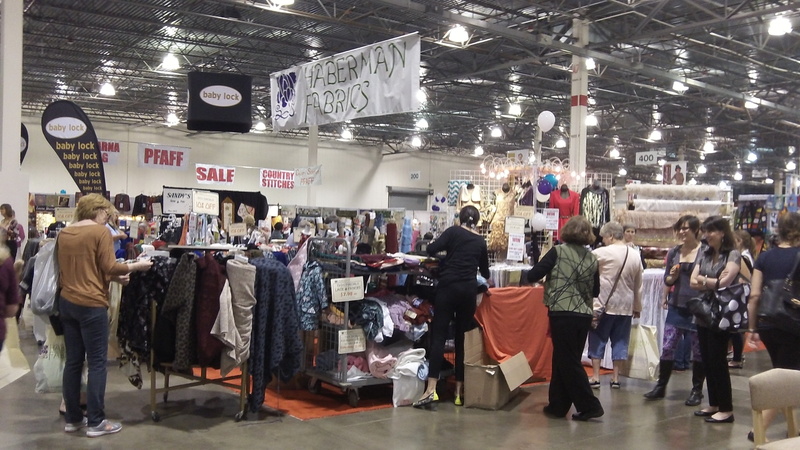 Two of the classes I attended were presented by staff from Haberman Fabrics, the one really nice fabric store in the area. One class was on leather, the other was on lace. Hmmm, is there a Stevie Nick’s song in there somewhere? Some good tips from the leather class were: use a long stitch to keep your seams strong, pound seams to press open seams (no heat), do not use natural fiber thread (it eats away at the leather), and use a walking or Teflon foot. 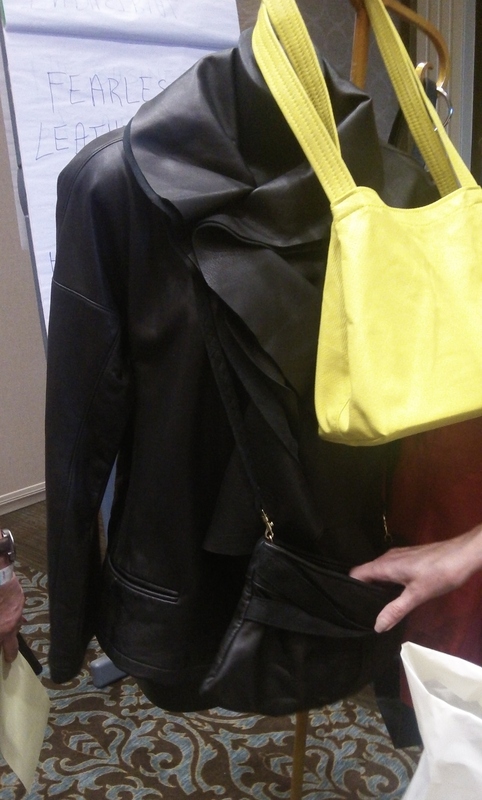 Did you know leather is sold by the square foot, not by the yard? I didn’t. 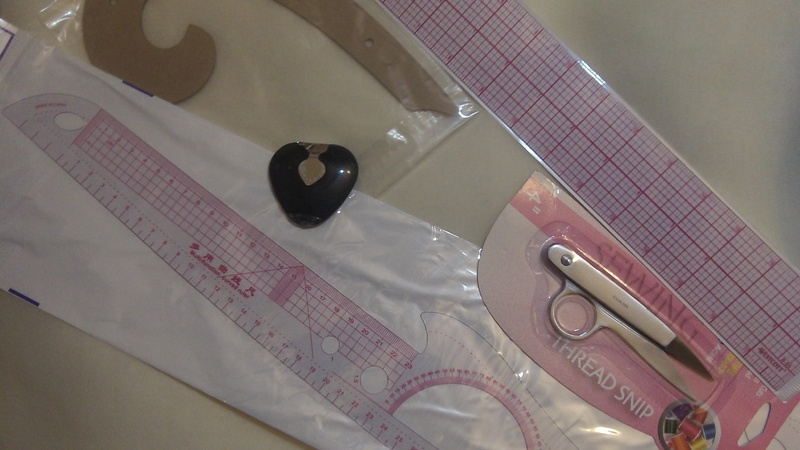 Also the 1-1/2 ounce thickness should be ok for a home sewing machine, but a 2 ounce thickness is too heavy. They had some beautiful work created by their employees. The lace class provided some great ideas. I really need to look at the lace selection next time I’m in the store. One great suggestion was to take apart your muslin and use it to determine the placement of the lace pattern, so you avoid any embarrassing misplacements (blooming bosoms). 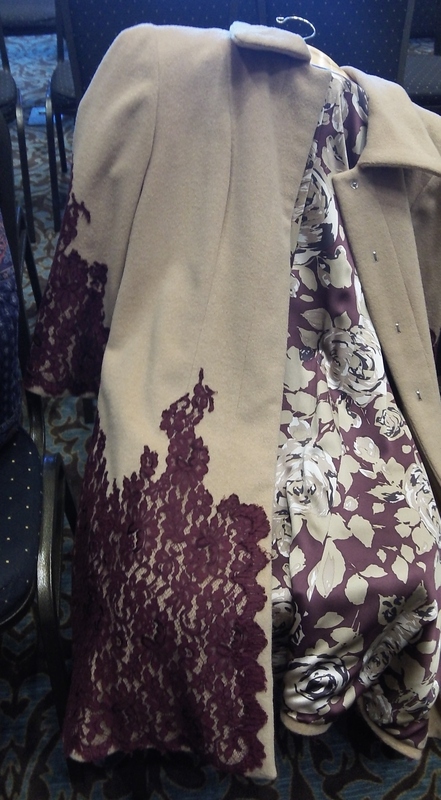 The lace overlays on a blouse and a coat were my favorites. 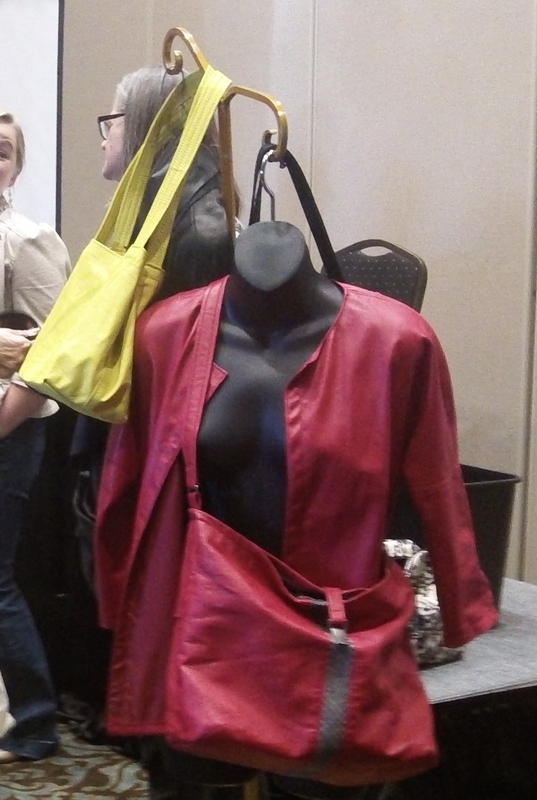 The Business of Alterations with Angela Wolf was a well timed class for me. It is something I am exploring and actually have my first paying alteration on my dress form now. 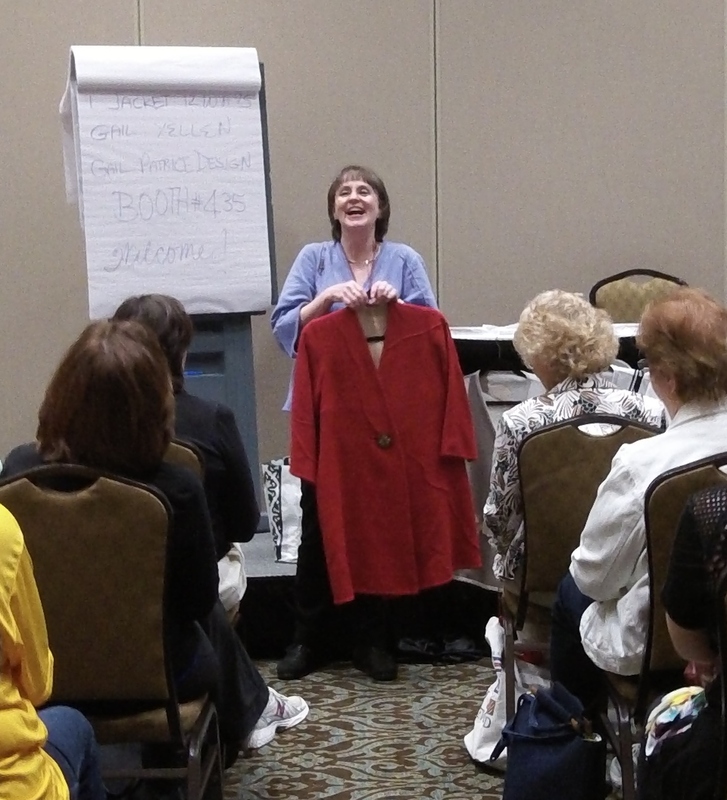 Another favorite class was One Jacket 12 Ways with Gail Yellen. Although I prefer a more fitted silhouette, she was so engaging and her work is so creative, it was a really fun class. I’m considering taking her Craftsy class. As for shopping this year, I went with less fabric, even though it was there, enticing me. I bought some lining fabrics needed for projects in my queue and spent most of my hoarded over the weeks dollars on a dress form. I even got to drive her home. Isn’t she pretty in the front seat of my car? 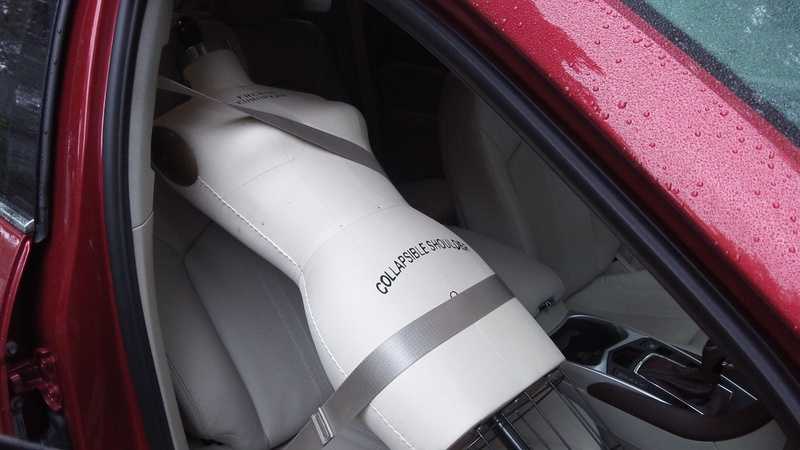 The seat belt even fit her. The salesman threw in some free gifts for waiting until the end of the show to pick her up. Sew fun! Yep, I’m a sewing geek. Could you please tell me the winners of the 1/2 scale challenge? There are no details, will thee be further information later? I am an entrant and would really appreciate seeing more detailed photos and information about the entrants…who, how many, where from etc? I wish I could have been there! It looks so interesting! I didn’t realize the 1/2 scale challenge was a competition. I have a few more photos and could send them. It really was an impressive exhibit of work. What did you make for it? Just took another look at my photos, there are ribbons on 3. I also have a shot that shows your Diana dress, with your name card. Please excuse typos…I’m on an iPad ! No problem. My right hand is much faster than my left, so I make frequent typos. A journal of quilting, sewing and otherwise creating.